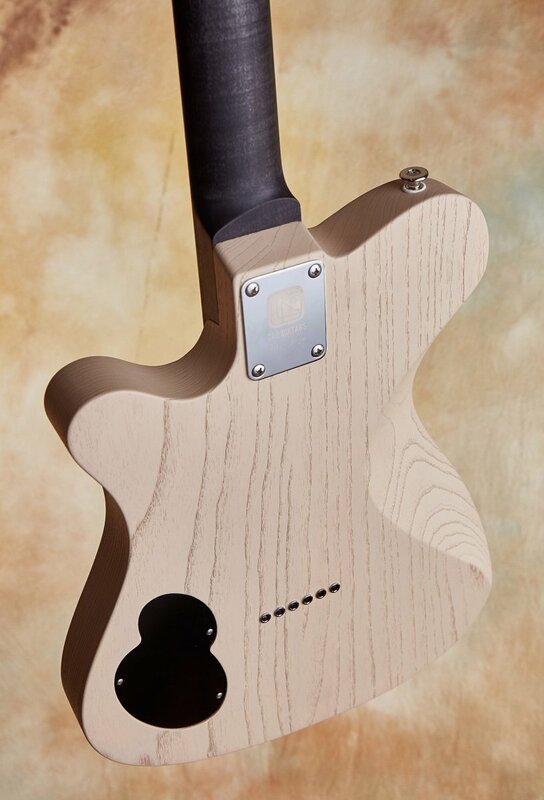 Inspired by Leo Fender with enough twists and turns to bring something new, useful and refreshing to the table, John and Serge have built a true winner. This is a simply wonderful, toneful, and joyful guitar to play. It's remarkably lightweight — 5.8 lbs. 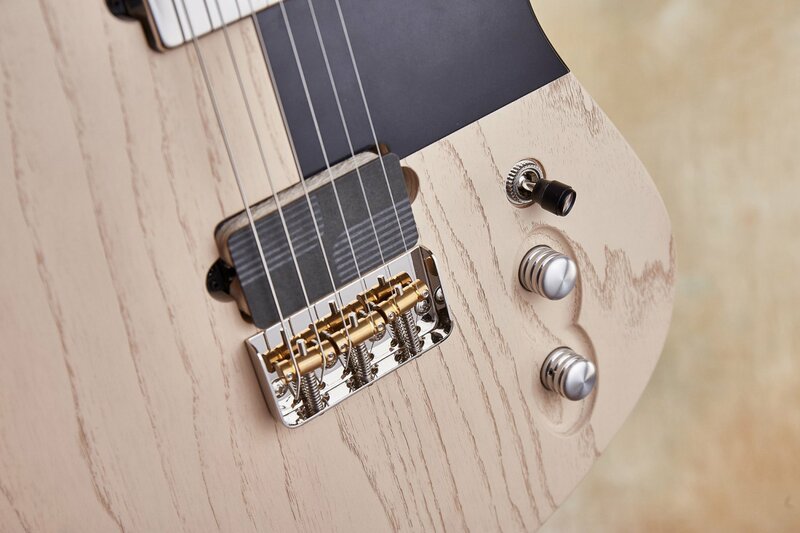 With its Gibson scale of 24 3/4" you could play this wonder all day and night with no fatigue. Everything is so brilliantly conceived. The sound is incredibly woody and wooly with spank and sparkle that lies somewhere between a single coil and humbucker. The idea behind the T-Bucket model was to create a design that, while being rooted in tradition, is at the same time grounded in the present day. 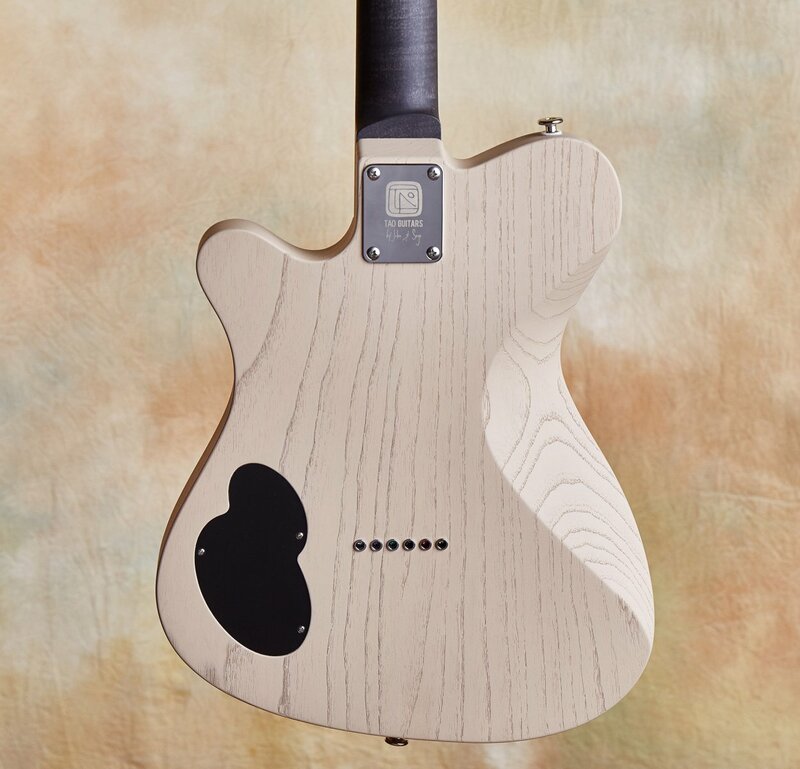 The first thought was to pay tribute to Leo Fender, the man who changed the face of music 60 years ago with the timeless designs we all know. Leo has always been the role model to follow, always moving forward in order to make his electric guitar more comfortable for the working musician and find new solutions to the problems of his old designs. 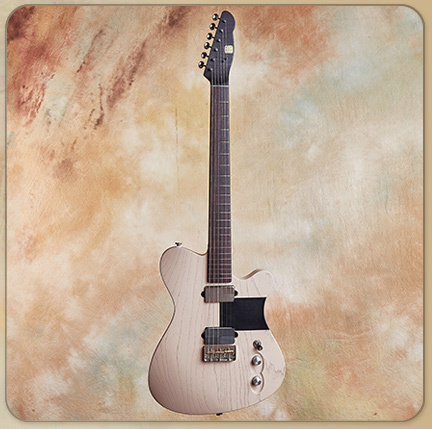 So the luthiers at Tao Guitars try to follow in his steps and design what could be the Telecaster for the new century. 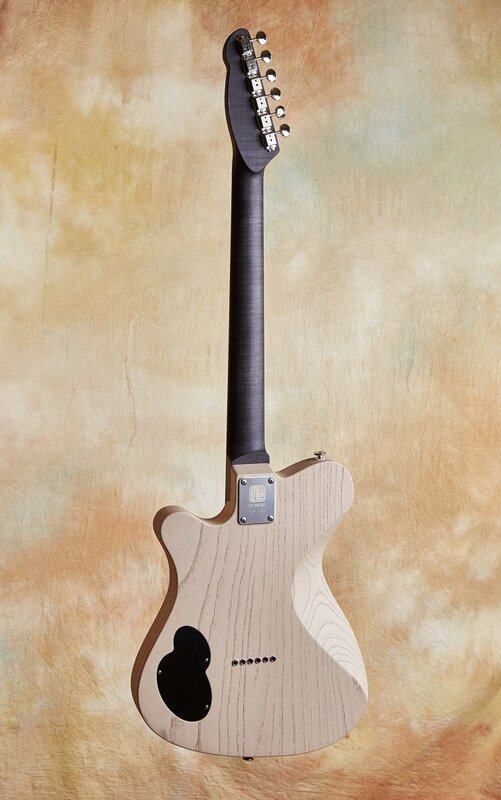 As car design enthusiasts, the Tao luthiers take inspiration from the neo-vintage automotive trend. 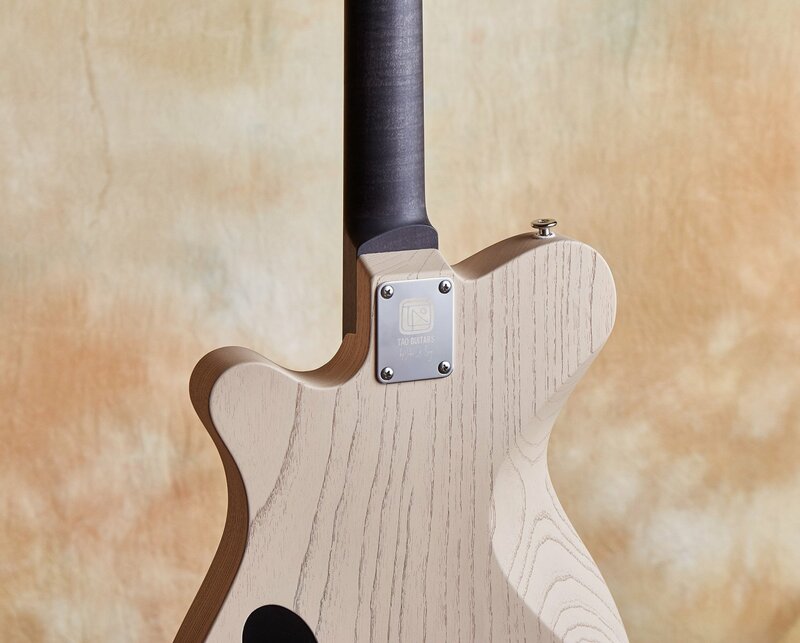 In the same way the VW Beetle design was reworked in 1998 to target a whole new generation, keeping some unmistakable visuals that are close to our heart while taking them to a new dynamic level, the Tao luthiers rework guitar ergonomics, producing a new level of playing comfort, a more balanced and modern instrument. 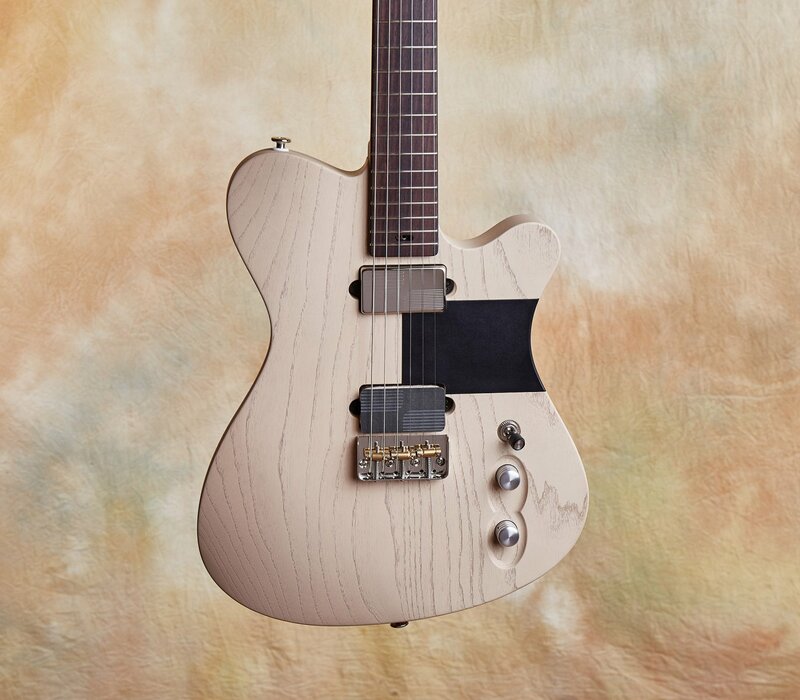 Their desire is also to bring to the game some Gibson pedigree for a more multifaceted tonal palette. 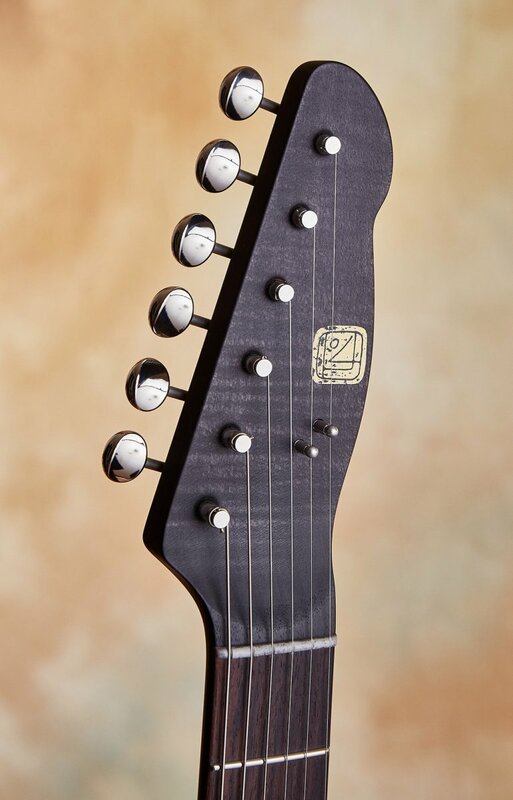 The choice of a 24 3/4" neck scale allows for a less finger-stretching action and the special humbucker pickups provide spanky vintage clean sounds but also deliver the goods with cranked rocking overdrive tones. 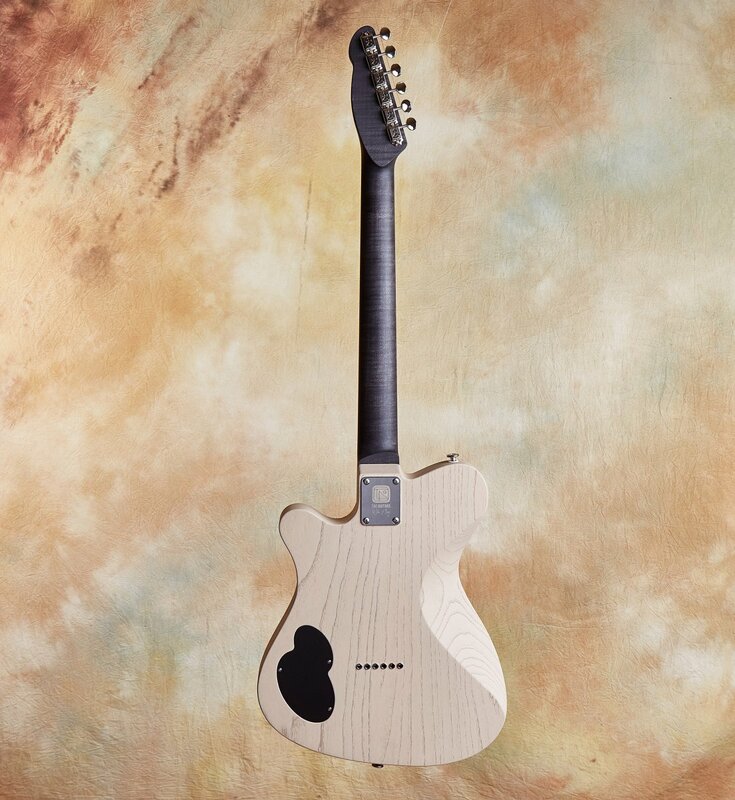 This guitar was built using the Tao luthiers' relentless attention to detail, thus ensuring the instrument possesses a lively and articulate tone. 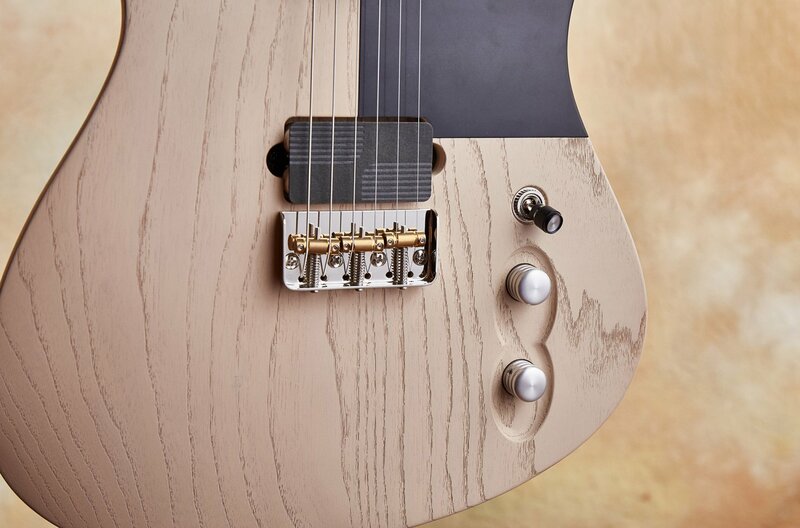 There are quite a few exciting things happening in the guitar world outside of the USA. New ideas, new designs, new building techniques — lots of young blood throwing their hats into the ring. As a player and guitar nerd who is steeped in a deep tradition and blessed with having grown up surrounded by legendary guitars, it has always been challenging for me to embrace new for the sake of being new. I want my builders to be clear what their purpose is and to ameliorate traditional design with their personal esthetic. That's particularly true if their DNA platforms reference the brilliant original designs from Fullerton or Kalamazoo. They have to bring something to the party. 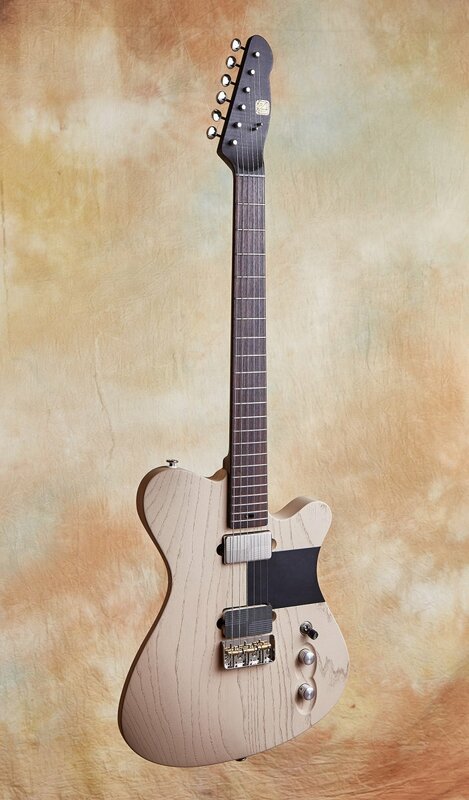 With that being said, I am extremely pleased to present my first offering from Belgian guitar builders John and Serge of Tao Guitars; their T-Bucket. 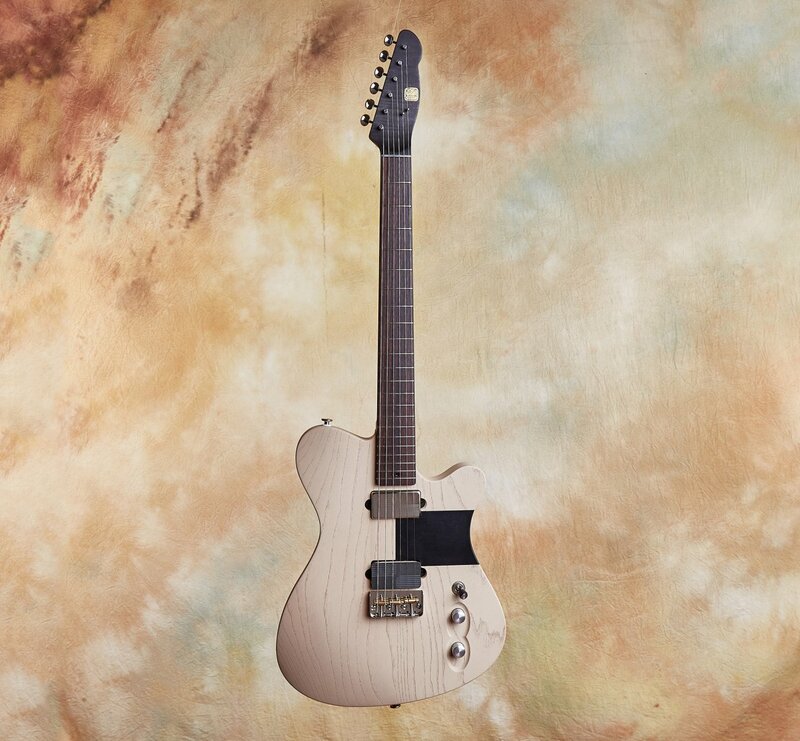 Inspired by Leo Fender with enough twists and turns to bring something new, useful and refreshing to the table, John and Serge have built a true winner. This is a simply wonderful, toneful, and joyful guitar to play. It's remarkably lightweight — 5.8 lbs. 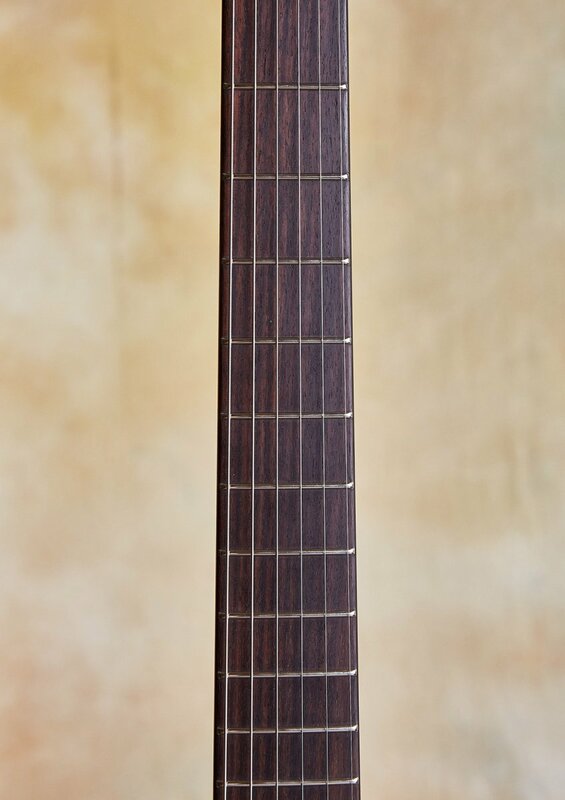 With its Gibson scale of 24 3/4" you could play this wonder all day and night with no fatigue. Everything is so brilliantly conceived. 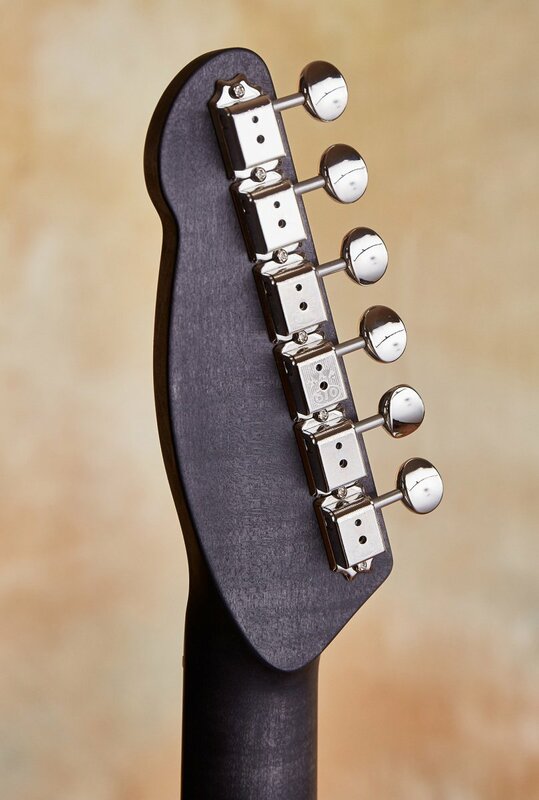 A sweet feeling neck profile whose 1 11/16" nut width and 12" radius seems to marry what I like about both Fenders and Gibsons. The fit, finish and design draw me in and are spot on. This T-Bucket just seems to invite me to play. 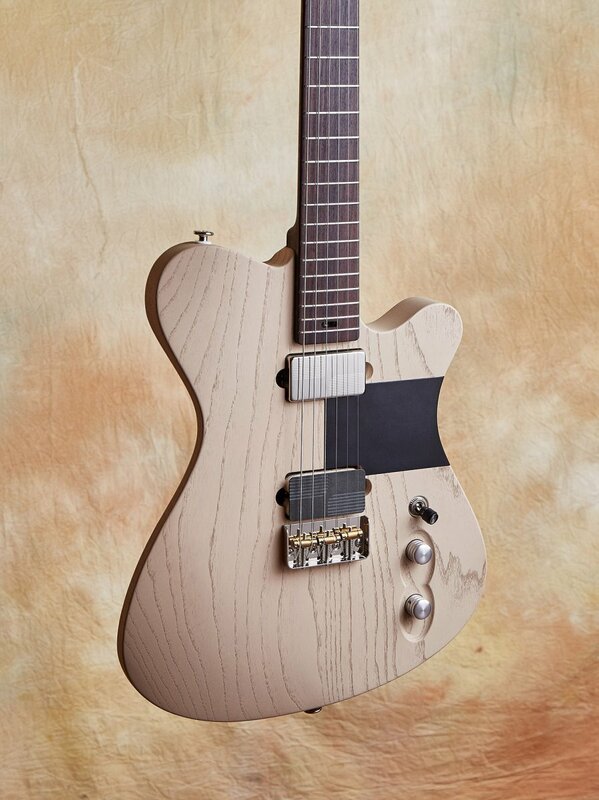 The humbuckers are made by Benedetti, a legendary French designer. The sound is incredibly woody and wooly with spank and sparkle that lies somewhere between a single coil and humbucker. It's infectious, versatile and incredibly usable. 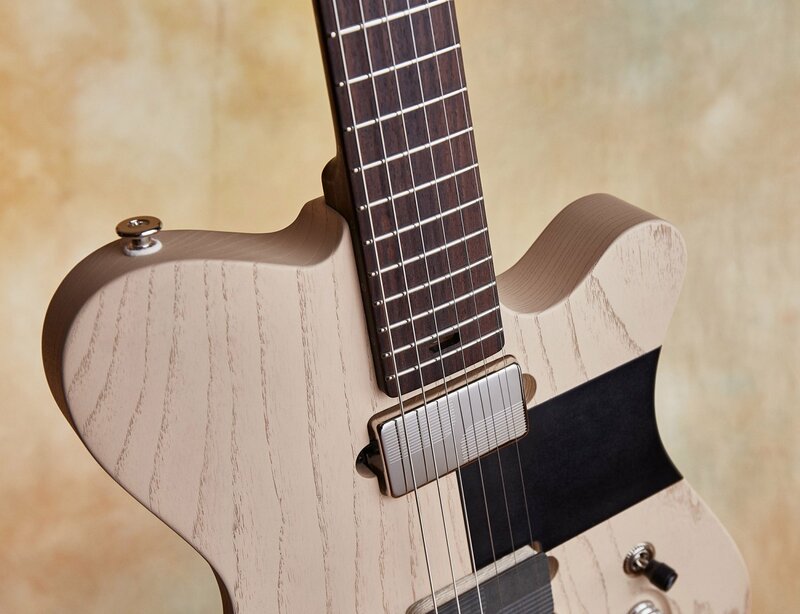 There are so many other special details about this guitar that come to mind, it takes a full conversation to convey them all. 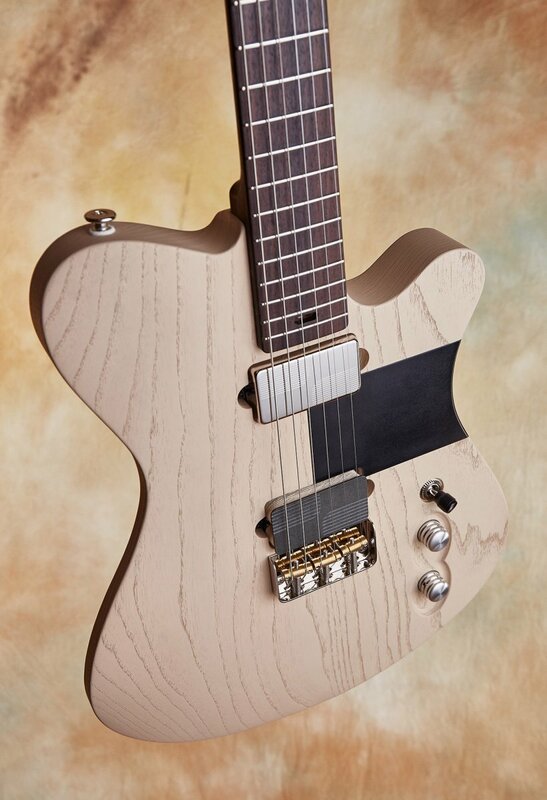 Bottom line: if you are looking for something special in the world of T style guitars, The Tao T-Bucket is certainly a worthy choice! 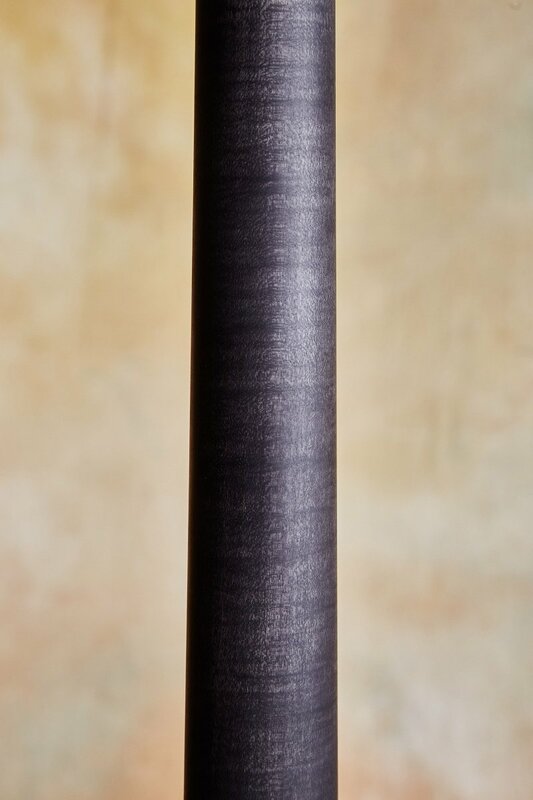 Neck profile C shape .85"-.95"